For those who spin all the ethics stuff, do you think Google knew of the problem and was lying when they said it was no big deal? If so, is it ethical for them to tell blatent lies? If not, how is it that SEOs know more about their search engine than they do and they generally disocunt the whole concept of SEO? Michael Nguyen posts about some of their search features. 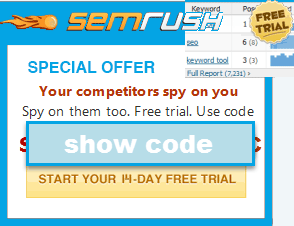 I have not tried it, but someone promoted this site http://searchpr.info/test.php, via forum spam of course. Nothing more than a PR stunt? It sure smells the part. A while ago they promoted that program a good bit, but it sure is hard to find information about it nowadays. Most journalists I know of at least fall on one side or the other. Another scary thing with that thread is I find myself agreeing with Glengara! I have not tried it, but a friend pointed me to this software. I am not sure how it plays with Google, since they have been blocking some automated software. Danny Sullivan weighs in on the ODP's recent site submission status closure. There is a website that qualifies you and prints out your ordained ministor certification in under a minute. A person today tried to justify me giving away my business model to them because they spent the minute to print one out.